Anas bin Malik (ra) relates that one day after midday, the Holy Prophet(s) came from his house and led us in the Zuhr prayer, the Holy Prophet(s) stood on the minbar. He spoke about the Day of Judgement and said that many great events would take place before it. Hazrat Anas radhi-allahu-anhu says that on hearing this everyone started crying (Through fear). 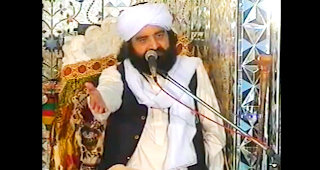 Hazrat Anas says that a man stood up and said, “O Holy Prophet! Where will my abode be (in the Hereafter)?” The Holy Prophet(s) replied, “Hell”. Sudai, says that the Prophet sallAllahu 'alaihi wasallam said that my nation was presented to me in form of idols made of sand as it was presented before Adam 'alaihis salam. I was told which of them will believe in me and who will deny. These words reached the hypocrites so they said mockingly: Muhammad claims to know about people who are not yet born and whether they will affirm or deny him even though we are with him and he does not know about us. When this reached the Prophet sallAllahu 'alaihi wasallam, he ascended the pulpit, praised Allah and said: What is the state of those people who object to my knowledge? Ask me about whatever you wish till the day of judgement, I will inform you. Narrated by al-Tabarani in al-Kabir (2:155 #1647) with trustworthy narrators per al-Haythami (8:263-264), Ahmad, Abu Dawud al-Tayalisi, Ibn Sa`d in his Tabaqat (2:354), al-Bazzar in his Musnad (9:341 #3897), al-Tabari in his Tafsir (7:189) Ibn `Abd al-Barr in al-Isti`ab (4:1655), Ibn Hibban (1:267 #65 isnad sahih), and al-Daraqutni in his ‘Ilal (6:290 #1148). Cf. al-Haythami, Mawarid al-Zam’an (p. 47). Also narrated from Abu al-Darda’ by Abu Ya`la in his Musnad (9:46 #5109 isnad sahih). [2 ]Thus narrated by Muslim and Ahmad. Narrated from Hudhayfa by al-Bukhari, Muslim, Abu Dawud, and Ahmad; and from Abu Sa`id al-Khudri by al-Tirmidhi (hasan sahih) and Ahmad. Al-Bukhari narrated something similar from `Umar. Narrated from Hudhayfa by Abu Dawud. Narrated from Anas by Abu Ya`la in his Musnad (6:360 #3689) and its narrators are those of al-Bukhari and Muslim according to al-Haythami (7:188). A longer version is narrated in the Sahihayn. The phrase “And may Allah forgive you” expresses thanks and good wishes. Narrated from Ibn `Umar by Abu Ya`la in his Musnad (10:66 #5702) and, as part of a longer narration, by Ibn Abu Hatim in his `Ilal (2:256 #2262). “Question: What is the meaning of His saying the Most High (Say! No one knows who is in the skies and earth except Allah) and the saying of the Prophet – Peace be upon him – (No one knows what shall happen tomorrow except for Allah, and the likes of this from The Quran and Hadith, knowing that knowledge of what shall happen tomorrow has occurred in the miracles of the Prophets – Peace be upon them – and the miracles of the Awliyah – May Allah be pleased with them? “When he explains himself and says ‘I intended with my statement that verily some of the Awliyah Allah taught them the unseen’ that [i.e. statement] will be accepted from him, because that is permissible logically and has occurred in that which has been transmitted to us since that is from the collective miracles which cannot be contained and which have passed throughout the generations. Some of them know it [i.e. the unseen] by the noble address, some of them know it by the raising of a veil and for some what is written on the preserved tablet [Al Lawh Al Mahfuz] is unveiled for them until they see it. 1. That for which there is no proof. This is what is meant by the verse: And with Him are the keys of the unseen treasures – none knows them but He [6:59]. "A shepherd was with his goats upon which a wolf came and grabbed one goat and ran. The shepherd then chased after the wolf to get the goat back. The wolf then spoke to him and said, 'Why do you take what food (rizq) which Allah has provided for me?' The shepherd was astonished that the wolf spoke. The wolf again said, 'If you are so surprised that I can talk then go to Madina. You will find the last of the Prophets, and he can inform you of the past and the future'. The shepherd left his goats and went straight to the Prophet (may Allah bless him and grant him peace) and mentioned his experience. written in al Mawahib by Imam Al-Qastalani declares. He told there were two other sciences, too. The second science to be taught which Our Beloved Prophet Sayyedina Muhammad Mustufa Salla Allahu ta'ala 'alayhi wa Sallam was that of Wilaya, the science of Tasawwuf or spirituality, the science that deals with the Batin and the reality of Islam, given to the Sahaba, The Alwiyah and the pious. 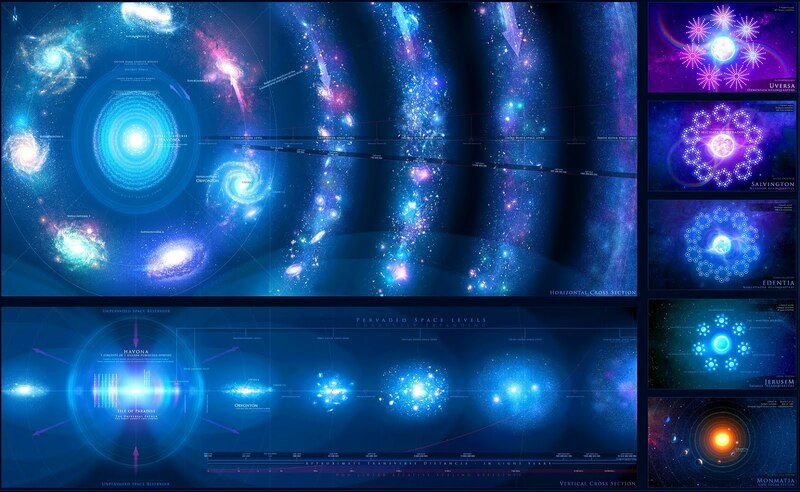 The thirds science is the knowledge of Fiqh, which was ordered to be revealed to everybody. 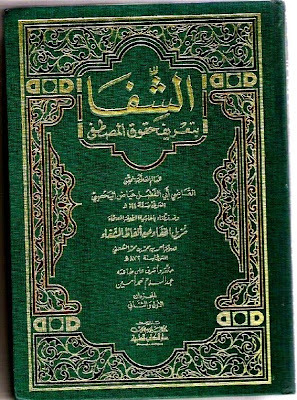 It is a collection of the blessed sayings and deeds of Our Beloved Rasoolullah Salla Allahu ta'ala 'alayhi wa Sallamso that Marifas of Wilaya have been following from his blessed heart Salla Allahu ta'ala 'alayhi wa Sallam into other hearts. 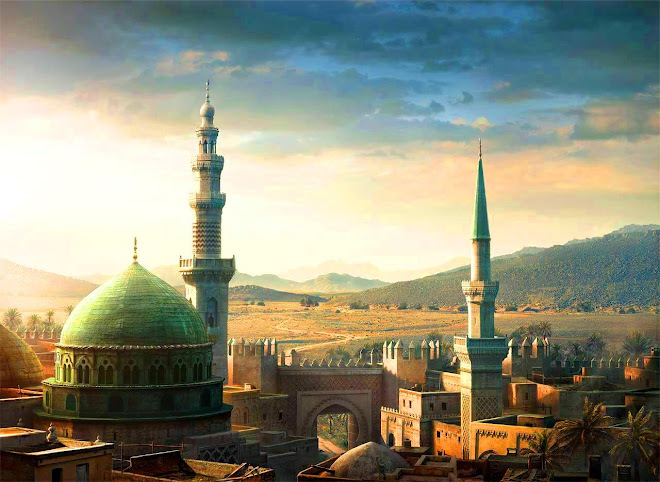 Abu Hurayra left out certain hadiths untold out of fear for his life if he were to reveal all that the Prophet - Allâh bless and greet him and his Family - had told him about forthcoming events (of which the Prophet predicted literally thousands), particularly in connection with the Banû Umayya. Under the rule of Yazîd ibn Mu`âwiya three scandals took place: al-Husayn ibn `Alî was killed; Madîna was ransacked for three days during which the Companions were massacred, after which no survivor of the battle of Badr was left on earth; and a thousand unmarried women gave birth to fatherless children; finally, the Ka`ba was destroyed and burnt, at which time Yazîd died. The knowledge of Hadrat Abu Hurairah Radi Allahu anhu and the Hadith quoted below about the state of Harris Ibn La’man, Radi Allahu anhu a Sahabhi, is an example of the gift of ‘Ilm-e-Batin’ given to the Sahabhi and the Alwiyah. Our Beloved Prophet Sayyedina Muhammad Mustufa Salla Allahu ta'ala 'alayhi wa Sallam told him to stop and say no more! Ibn Hajar (Isaba, #1480), and Haythami in his Majma’ (1:57). 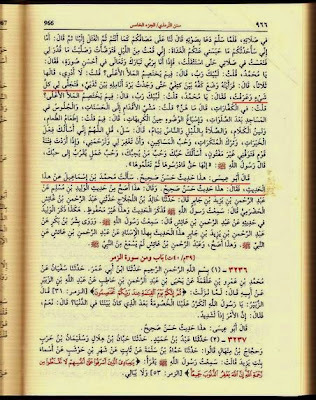 Hakim Tirmidhi (Asl #86), and by Tabari (with numerous chains), Ibn Kathir, Suyuti, ar-Razi, Qurtubi, Baghawi, Baydawi, Ibn ‘Atiyyah, Ibn Jawzi, Nasafi, al-Khazin, Abu’s Su’ud, Ibn Abi Hatim, and others in their Tafsirs of Q6:125 and Q39:22, and its chains support each other according to Ibn Kathir, Shawkani, and others. In it the Prophet (صلى الله عليه وسلم) said: “Indeed, when the light enters the heart of a believer, it expands and widens.” They asked him, “Is there a sign of this?” He (صلى الله عليه وسلم) replied, “Yes, turning away in disgust from the lower world, turning wholly towards the Akhira, and preparation for death before it comes,” then he recited this verse. Harith’s case is a concrete example of this hadith. Ahlus-Sunna wal Jam'ah believe that Allah has given the knowledge of the Ghayb (unseen) to the Prophet (may Allah bless him and grant him peace), and that it is also permissable to say that our Prophet (may Allah bless him and grant him peace) knows the knowledge of the Ghayb. However, it is not possible nor permissable to say that the Prophet's (may Allah bless him and grant him peace) knowledge of the Ghayb is equal to that of Allah - or even like the knowledge of Allah, since Allah's knowledge is His own and the Prophet's (may Allah bless him and grant him peace) knowledge has been given/granted to him by Allah. 1: Ilm al Ghayb ad Dhaati - [Personal Knowledge Of Ghayb] Is of Allah subhana wa Tallah alone, It is He who has the knowledge of Ghayb by His "OWN SELF" and no one has taught Him, revealed to Him, shown Him, and this is the knowledge of Unseen which has been made Khaas (specific) with Alah in Quran at many places. 2: Ilm al Ghayb al Atai'i - [Bestowed Knowledge Of Ghayb} Is of RasoolAllah (صلی اللہ علیھ وآلھ وسلم), he was given this knowledge by Allah, he himself did not know it, but Allah tallah bestowed the knowledge of Ghayb on him, this knowledge of Unseen is also mentioned at many places in Quran so rejection any of these two or having confusion by mixing these two together is a fallacy. 3: Ilm al Ghayb al Kulli - [Total Knowledge Of Ghayb] Is of Allah subhana wa tallah alone, it is He who knows everything in his creation and what was before the creation, no creation of Allah knows as much as Allah tallah knows, Allah tallah knows absolutely EVERY GHAYB, nothing what so ever is hidden from Him, however when it is referred to Prophet (Peace be upon him) then it only means in "REFERENCE TO MAKHLOOQ NOT KHALIQ"
4: Ilm al Ghayb al Baadh - [Partial Knowledge Of Ghayb] Is of RasoolAllah (صلی اللہ علیھ وآلھ وسلم), Allah tallah gave limited, partial, some, knowledge of Ghayb to RasoolAllah (صلی اللہ علیھ وآلھ وسلم). What ever Ghayb RasoolAllah(صلی اللہ علیھ وآلھ وسلم) knows, revealed, prophecised, is in the category of 'Partial'. For no creation of Allah can know as much as Allah, not RasoolAllah (صلی اللہ علیھ وآلھ وسلم) not even Al Lawh Al Mafooz. ● Verses reffering to Allahs Knowledge of Ghayb are Dhaati & Kulli, verses reffering to creations knowledge are Atai'i & Baadh. Imam Bayhaqi narrates through his chain from ‘AbdAllah ibn ‘Abbas radiyAllahu 'anhuma that it once rained and the Prophet sallAllahu 'alaihi wasallam came to us and told us: The angel deputised for rainfall came to me. After greeting me he informed me that he is taking the rain to a valley in Yemen called Sarih. Thereafter, a traveller came to me and upon being asked, told me that on the same day, rain fell in their land. The Prophet صلی اللہ علیھ وآلھ وسلم knowlegde of unseen is greater then all creations of Allah, but in no way equal to Allah, But Allah has granted him (صلی اللہ علیھ وآلھ وسلم) knowledge of every thing in the universe, but Allah has no limit and he begins where this universe ends so in no way is Prophet (صلی اللہ علیھ وآلھ وسلم) being compared to Allah as some ignorants claim. Reference: Al-Qurtubi as quoted by Ibn Hajar in Fath al-Bari (1989 ed.) 12:449. Translation: (Taught to you what you did not know) means that Allah Most High has told the Prophet (may Allah bless him and grant him peace) of Ahkam and Unseen. Translation: Allah Most High has told the Prophet (may Allah bless him and grant him peace) to thank Him as He has informed the Prophet of what has already happened and what will happen (in future) and this is a bestowal of great grace. Allah's Messenger (peace be upon him) was detained one morning from observing the dawn prayer (in congregation) along with us till the sun had almost appeared on the horizon. He then came out hurriedly and Iqamah for prayer was observed and he conducted it (prayer) in brief form. When he had concluded the prayer by saying As-salamu alaykum wa Rahmatullah, he called out to us saying: Remain in your places as you were. Then turning to us he said: I am going to tell you what detained me from you (on account of which I could not join you in the prayer) in the morning. I got up in the night and performed ablution and observed the prayer as had been ordained for me. I dozed in my prayer till I was overcome by (sleep) and lo and lo, I found myself in the presence of my Lord, the Blessed and the Glorious, in the best form. He said: Muhammad! I said: At Thy service, my Lord. He said: What these highest angels contend about? I said: I do not know. He repeated it thrice. He said: Then I saw Him put his palms between my shoulder blades till I felt the coldness of his fingers between the two sides of my chest. Then everything was illuminated for me and I recognized everything. He said: Muhammad! I said: At Thy service, my Lord. He said: What do these high angels contend about? I said: In regard to expiations. He said: What are these? I said: Going on foot to join congregational prayers, sitting in the mosques after the prayers, performing ablution well despite difficulties. He again said: Then what do they contend? I said: In regard to the ranks. He said: What are these? I said: Providing of food, speaking gently, observing the prayer when the people are asleep. He again said to me: Beg (Your Lord) and say: O Allah, I beg of Thee (power) to do good deeds, and abandon abominable deeds, to love the poor, that Thou forgive me and show mercy to me and when Thou intendst to put people to trial Thou causes me to die unblemished and I beg of Thee Thy love and the love of one who loves Thee and the love for the deed which brings me near to Thy love. Allah's Messenger (peace be upon him) said: It is a truth, so learn it and teach it. عَنْ عُمَرَ رضي الله عنه يَقُوْلُ : قَامَ فِيْنَا النَّبِيُّ صلي الله عليه وآله وسلم مَقَامًا، فَأَخْبَرَنَا عَنْ بَدْءِ الْخَلْقِ حَتَّي دَخَلَ أَهْلُ الْجَنَّةِ مَنَازِلَهُمْ وَأَهْلُ النَّارِ مَنَازِلَهُمْ، حَفِظَ ذَلِکَ مَنْ حَفِظَهُ وَنَسِيَهُ مَنْ نَسِيَهُ.رَوَاهُ الْبُخَارِيُّ. One day the Prophet stood up amongst us for a long period and informed us about the beginning of creation (and talked about everything in detail) till he mentioned how the people of Paradise will enter their places and the people of Hell will enter their places. Some remembered what he had said, and some forgot it. Narated By Hudhaifa :The Prophet once delivered a speech in front of us wherein he left nothing but mentioned (about) everything that would happen till the Hour. Some of us stored that our minds and some forgot it. (After that speech) I used to see events taking place (which had been referred to in that speech) but I had forgotten them (before their occurrence). Then I would recognize such events as a man recognizes another man who has been absent and then sees and recognizes him. The Prophet once climbed the mountain of Uhud with Abu Bakr, 'Umar and 'Uthman. The mountain shook with them. The Prophet said (to the mountain), "Be firm, O Uhud! For on you there are no more than a Prophet, a Siddiq and two martyrs." Reference►Sahih Bukhari Volume 5 Number 24.The Prophet Salallaho Alaihi wa-Alihi Wasalam knew that Hazrat Umar R.A and Hazrat Uthman R.A will be Martyrs. Allah's Messenger (may peace be upon him) stood before us one day and he did not leave anything unsaid (that he had to say) at that very spot which would happen (in the shape of turmoil) up to the Last Hour.Those who had to remember them preserved them in their minds and those who could not remember them forgot them. My friends knew them and there are certain things which slip out of my mind, but I recapitulate them when anyone makes a mention of them just as a person is lost from one's mind but is recalled to him on seeing his face. The Prophet had informed the people of the martyrdom of Zaid, Ja'far and Ibn Rawaha before the news of their death reached. The Prophet said, "Zaid took the flag (as the commander of the army) and was martyred, then Ja'far took it and was martyred, and then Ibn Rawaha took it and was martyred." At that time the Prophet's eyes were shedding tears. He added, "Then the flag was taken by a Sword amongst the Swords of Allah (i.e. Khalid) and Allah made them (i.e. the Muslims) victorious. Once the people started asking Allah's Apostle questions, and they asked so many questions that he became angry and ascended the pulpit and said, "I will answer whatever questions you may ask me today." I looked right and left and saw everyone covering his face with his garment and weeping. Behold ! There was a man who, on quarreling with the people, used to be called as a son of a person other than his father. He said, "O Allah's Apostle! Who is my father?" The Prophet replied, "Your father is Hudhaifa." And then 'Umar got up and said, "We accept Allah as our Lord, and Islam as (our) religion, and Muhammad as (our) Apostle; and we seek refuge with Allah from the afflictions." 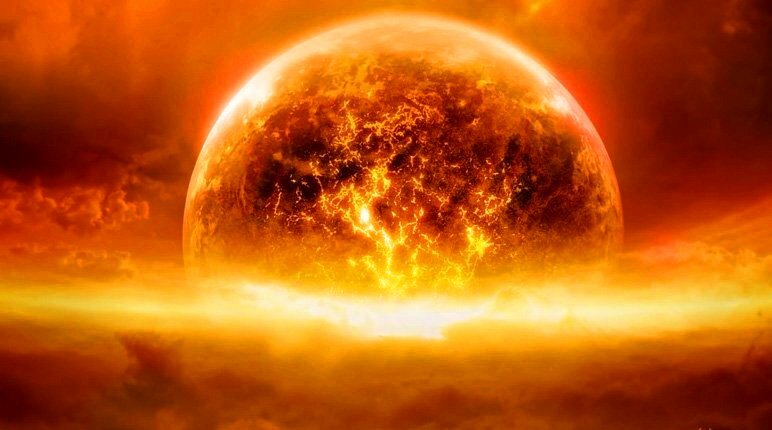 Allah's Apostle said, " I have never seen a day like today in its good and its evil for Paradise and the Hell Fire were displayed in front of me, till I saw them just beyond this wall. Then Allah's Apostle said, "By Him in Whose Hand my life is, Paradise and Hell were displayed before me across this wall while I was praying, and I never saw such good and evil as I have seen today." We participated in the Battle of Hunain along with the Messenger of Allah (may peace be upon him). 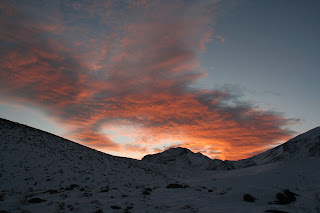 He (the Holy Prophet) said about a man who claimed to be a Muslim that he was one of the denizens of the Fire (of Hell). When we were in the thick of the battle that man fought desperately and was wounded. It was said: Messenger of Allah, the person whom you at first called as the denizen of Fire fought desperately and died. Upon this the Apostle of Allah (may peace be upon him) remarked: He was doomed to the Fire (of Hell). Some men were on the verge of doubt (about his fate) when it was said that he was not dead but fatally wounded.When it was night he could not stand the (pain of his) wound and killed himself. The Apostle (may peace be upon him) was informed of that. He (the Holy Prophet) observed: Allah is Great, I bear testimony to the fact that I am the servant of Allah and His messenger. He then commanded Bilal to announce to the people that none but a Muslim would enter Paradise. Verily Allah helps this faith even by a sinful person. Reference►Sahih Muslim Book 001, Hadith Number 0205. عَنْ أَنَسٍ رضي الله عنه في رواية طويلة أَنَّ رَسُوْلَ اﷲِ صلي الله عليه وآله وسلم شَاوَرَ، حِيْنَ بَلَغَنَا إِقَبَالُ أَبِي سُفْيَانَ، وَقَامَ سَعْدُ بْنُ عُبَادَةَ رضي الله عنه فَقَالَ : وَالَّذِي نَفْسِي بِيَدِهِ، لَوْ أَمَرْتَنَا أَنْ نُخِيْضَهَا الْبَحْرَ لَأَخَضْنَاهَا. وَلَوْ أَمَرْتَنَا أَنْ نَضْرِبَ أَکْبَادَهَا إلَي بَرْکِ الْغِمَادِ لَفَعَلْنَا. قَالَ : فَنَدَبَ رَسُوْلُ اﷲِ صلي الله عليه وآله وسلم النَّاسَ، فَانْطَلَقُوْا حَتَّي نَزَلُوْا بَدْرًا، فَقَالَ رَسُوْلُ اﷲِ صلي الله عليه وآله وسلم : هَذَا مَصْرَعُ فُلَانٍ قَالَ : وَيَضَعُ يَدَهُ عَلَي الْأَرْضِ، هَاهُنَا وَهَاهُنَا. قَالَ : فَمَا مَاتَ أَحَدُهُمْ عَنْ مَوْضِعِ يَدِ رَسُوْلِ اﷲِ صلي الله عليه وآله وسلم .رَوَاهُ مُسْلِمٌ وَأَبُوْدَاوُدَ. Narrated Anas : That when (the news of) the advance of Abu Sufyan (at the head of a force) reached him. the Messenger of Allah (may peace be upon him) held consultations with his Companions. The narrator said: Abu Bakr spoke (expressing his own views), but he (the Holy Prophet) did not pay heed to him. Then spoke 'Umar (expressing his views), but he (the Holy Prophet) did not pay heed to him (too). Then Sa'd b. 'Ubada stood up and said: Messenger of Allah, you want us (to speak). By God in Whose control is my life, if you order us to plunge our horses into the sea, we would do so. If you order us to goad our horses to the most distant place like Bark al-Ghimad, we would do so. The narrator said: Now the Messenger of Allah (may peace be upon him) called upon the people (for the encounter). So they set out and encamped at Badr. (Soon) the water-carriers of the Quraish arrived. Among them was a black slave belonging to Banu al-Hajjaj. The Companions of the Messenger of Allah (may peace be upon him) caught him and interrogated him about Abu Sufyan and his companions. He said: I know nothing about Abu Sufyan, but Abu Jahl, Utba, Shaiba and Umayya b. Khalaf are there.When he said this, they beat him. Then he said: All right, I will tell you about Abu Sufyan. They would stop beating him and then ask him (again) about Abu Sufyan. He would again say', I know nothing about Abu Sufyan, but Abu Jahl. 'Utba, Shaiba and Umayya b. Khalaf are there. When he said this, they beat him likewise. The Messenger of Allah (may peace be upon him) was standing in prayer. When he saw this he finished his prayer and said: By Allah in Whose control is my life, you beat him when he is telling you the truth, and you let him go when he tells you a lie. The narrator said: Then the Messenger of Allah (may peace be upon him) said: This is the place where so and so would be killed. He placed his hand on the earth (saying) here and here; (and) none of them fell away from the place which the Messenger of Allah (may peace be upon him) had indicated by placing his hand on the earth. Reference►Sahih Muslim Book 019, Number 4394. Narrated Asma' bint Abu Bakr: I came to 'Aisha during the solar eclipse. The people were standing (offering prayer) and she too, was standing and offering prayer. I asked, "What is wrong with the people?" She pointed towards the sky with her hand and said, Subhan Allah!'' I asked her, "Is there a sign?" She nodded with her head meaning, yes. When Allah's Apostle finished (the prayer), he glorified and praised Allah and said, "There is not anything that I have not seen before but I have seen now at this place of mine, even Paradise and Hell. It has been revealed to me that you people will be put to trial nearly like the trial of Ad-Dajjal, in your graves. As for the true believer or a Muslim (the sub-narrator is not sure as to which of the two (words Asma' had said) he will say, 'Muhammad came with clear signs from Allah, and we responded to him (accepted his teachings) and believed (what he said)' It will be said (to him) 'Sleep in peace; we have known that you were a true believer who believed with certainty.' As for a hypocrite or a doubtful person, (the sub-narrator is not sure as to which word Asma' said) he will say, 'I do not know, but I heard the people saying something and so I said the same.'" At the time of the Battle of Ahzab or the battle of the Trench, the Prophet went down to hit a rock with his pick, whereupon he said: "Bismillah" and shattered one third of the rock. Then he exclaimed: "Allahu akbar! I have been given the keys of Syria. By Allah, verily I can see her red palaces right from where I stand." Then he said: "Bismillah," and shattered another third and exclaimed: "Allahu akbar! I have been given the keys of Persia. By Allah, I can see her cities and her white palace right from where I stand." Then he said: "Bismillah" and shattered the remainder of the rock and exclaimed: "Allahu akbar! I have been given the keys of Yemen. By Allah, I can see the gates of San`a' right from where I stand." Reference►Al-Haythami said: "Ahmad (4:303 #18718) narrated it and its chain contain Maymun Abu `Abd Allah. Ibn Hibban declared him trustworthy while a group of others declared him weak. The remainder of its sub-narrators are trustworthy." Salman al-Farisi said: "I was digging in one corner of the trench at which time one rock gave me difficulty. Allah's Messenger came near me and saw my difficulty as I was digging. He came down and took the pick from my hands. Then he struck and a great spark flashed under the pick. He struck again and another spark flashed. He struck a third time and a third spark flashed. I said to him: My father and mother (be ransomed) for you, O Messenger of Allah! What is that I saw flashing under the pick as you were striking? He said: Did you see this, O Salman? I said: Yes! He said: The first time, Allah opened Yemen [in the South] for me; the second time, He opened the North (al-Sham) and the West (al-Maghrib) for me; and the third time, he opened the East (al-Mashriq)." Reference:►Ibn Hisham relates it in his Sira (Beirut, dar al-wifaq ed. 3-4: 219) and also Ibn Kathir in al-Bidaya (4:99). The Prophet (pbuh) passed by two graves. He said: Both (the dead) are being punished, but they are not being punished for a major (sin). One did not safeguard himself from urine. The other carried tales. He then called for a fresh twig and split it into two parts and planted one part on each grave and said: Perhaps their punishment may be mitigated as long as the twigs remain fresh. Another version of Hammad has: "One of them did not cover himself while urinating." The version does not have the words: "He did not safeguard himself from urine." Reference►Abu Dawood Book 001, Hadith Number 0020. The Messenger of Allah (may peace be upon him) one day led us in the prayer and when he completed the Prayer he turned his face towards us and said: O People, I am your Imam, so do not precede me in bowing and prostration and in standing and turning (faces, i.e. In pronouncing salutation), for I see you in front of me and behind me, and then said: By Him in Whose hand Is the life of Muhammad, if you could see what I see, you would have laughed little and wept much more. They said: What did you see, Messenger of Allah? He replied: (I saw) Paradise and Hell. The Messenger of Allah (may peace be upon him) said: Complete the rows, for I can see you behind my back. Reference►Sahih Muslim Book 004, Hadith Number 0872. Allah's Messenger (may peace be upon him) one day went out and he offered the Prayer over the martyrs of Uhud just as the Prayer is offered over the dead. He then came back and sat on the pulpit and said: I will be the predecessor before you. I will be your witness and, by Allah,I perceive as if I am seeing with my own eyes my Hawd (River in Paradise) at this very moment and I have been given the keys of the treasures of the earth or the keys of the earth and, by Allah, I am not afraid that you might associate anything (with Allah after me), but I am afraid that you will be vying with one another (for the possession of) the treasures of the earth. 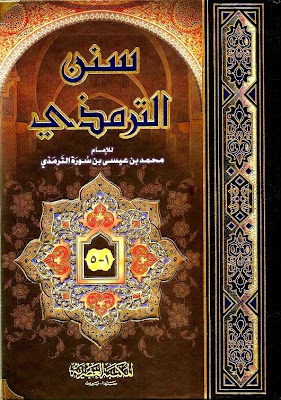 Imam al Qadhi Iyaadh (Rahimuhullah) in his Ash Shifa made a whole chapter on Prophet's Knowledge of Unseen! Chapter regarding grant of Ghuyub (Unseen) to Prophet (s) and of things which have to happen in future. The first from Ahlul bayt to pass away would be Fatima [Musnad Ahmed, 2:240]. "I found myself in the presence of my Lord, the Blessed and the Glorious, in the best form. He said: Muhammad! I said: At Thy service, my Lord. He said: What these highest angels contend about"? I said: I do not know. He repeated it thrice. I said: I don’t know, Then I saw Him put his palms between my shoulder blades till I felt the coldness of his fingers between the two sides of my chest. "THEN EVERYTHING WAS ILLUMINATED TO ME AND I RECOGNIZED EVERYTHING!" to Prophet (s) and of things which have to happen in future! The hadiths on this subject are like a vast ocean, the depth of which cannot be found and the water of which cannot end. This is one aspect of his miracles which is "DEFINITELY KNOWN" We have many hadiths which have reached us by multiple paths of transmission (tawatur) which prove that the Prophet (Peace be upon him) has been given knowledge of Unseen. Ibn 'Umar said: 'Umar sent an army and he put at the head of them a man called Sariyah. 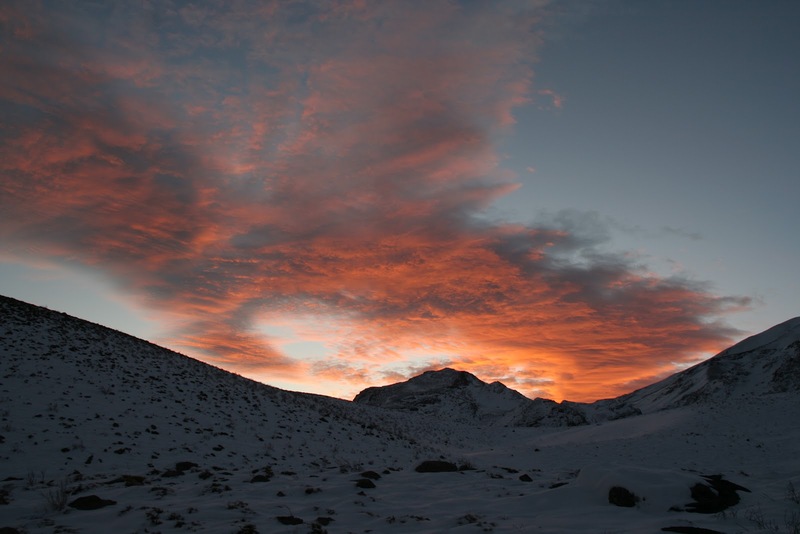 While 'Umar was delivering the khutbah he began to cry out, 'Sariyah, the mountain!' three times. Then later the messenger of the army came and he asked 'Umar, 'Amir al-Muminin, we were being defeated and in that situation we heard a voice crying out, "Sariyah, the mountain!" three times. That mountain, where Sariyah was, is close to Nahawand in the land of the non-Arabs (Persian Iraq). Ibn 'Umar, in another version of the hadith, said: 'Umar was delivering the khutbah on the day of Jumu'ah and then he turned aside during his khutbah and said, 'Sariyah, the mountain! It was mentioned in the Sîra, as narrated from Ibn `Abbâs (ra) who said: “When the Sûra (When comes the Help of Allah, and Victory( (110) was revealed, the Messenger of Allâh summoned Fâtima and said, ‘My funeral was just announced,’ whereupon she wept. Then he said to her, ‘Do not weep, for you shall be the first to follow me,’ whereupon she laughed. Some of the wives of the Prophet saw her and asked her, ‘O Fâtima, we saugh you cry then laugh?’ She replied, ‘He told me that his funeral had just been announced, so I cried. Then he said to me, Do not cry, for you shall be the first to follow me, so I laughed. 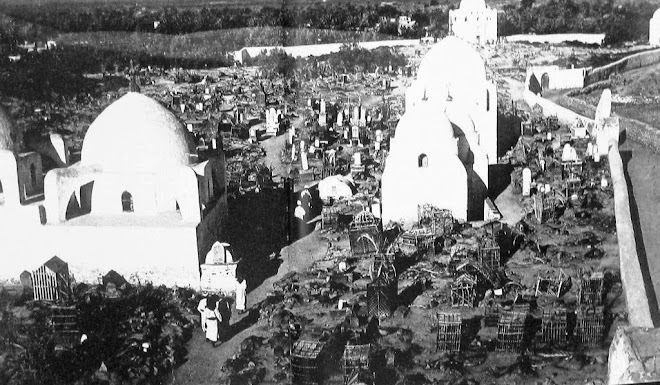 '” Fâtima – Allâh be well-pleased with her – lived on for six months after the Prophet according to the most authentic reports. Narrated with a strong chain from Ibn `Abbâs by al-Dârimî, al-Tabarânî in al-Awsat (1:271 #883) and, in part, al-Bukhârî and Ahmad; also Ibn `Umar by al-Bazzâr and al-Bayhaqî cf. Ibn Kathîr, Tafsîr (4:562). "Did the Prophet (PBUH) Know the Future?" did Prophet have Unseen knowledge?" Hadith:"Our Lord was in a heavy cloud"